For sponsorship opportunities please contact Bryce Leung. Founded in Beijing in 2003, the Patent Protection Association of China (PPAC) is a voluntary organisation formed by various innovative Chinese enterprises. As a non-governmental organisation and the representative of Chinese enterprises, the PPAC forms the bridge between the government and business. conducting and promoting international IP exchanges and cooperation. After years of hard work, the PPAC has gained recognition by Chinese enterprises, overseas organisations and governments. With an open mind and will to cooperate, the PPAC welcomes all kinds of partners to further expand international exchange and cooperation, and promote IP development. AnJie Law Firm was founded by a group of senior lawyers committed to providing high-quality service to international and domestic clients. Its attorneys are trustworthy advisers with years of legal experience in a wide variety of fields. Clients consistently compliment its services, acknowledging its attorneys’ effectiveness, reliability and creativity. AnJie has quickly established its reputation as a first-tier elite law firm in China. It was awarded Rising Firm of the Year in 2013 and ranked in the list of China’s 10 fastest growing firms in 2013 by Asian Legal Business (ALB). AnJie was recognised as Recommended Leading Firm or Firm of the Year in major practice areas (eg, antitrust and competition, M&A, arbitration and litigation, and intellectual property) by Chambers and Partners, ALB, Asialaw, Legal 500 and other renowned ranking institutions. Headquartered in Beijing, AnJie has opened branch offices in Shanghai and Shenzhen respectively. It has been growing rapidly with currently more than 300 professionals and supporting staff across three offices. As successful practitioners in their fields, its lawyers demonstrate excellence in their legal work and commitment to their profession. Most of them have practised in leading international law firms and have gained many years of experience before joining AnJie. Some have worked in national ministries of the People’s Republic of China and in international organisations, and have built their careers maintaining harmonious connections with government bodies and international organisations. CPA Global is the world’s leading IP management and technology company. Trusted by many of the world’s most respected corporations and law firms, CPA Global empowers a global community to achieve excellence in IP management. We support the day-to-day delivery of IP tasks and provide the right information at the right time, enabling professionals to make better IP decisions for the future. Our integrated suite of IP software, services and information is underpinned by an outstanding global team of over 2,000 people, working together to help our customers deliver strategic value for the future of their organisations. Founded in 1990, Intralink works with IP companies from Europe and North America to develop and execute licensing programmes for the key Asia-Pacific markets. The company has offices in Japan, Korea, China and Taiwan and more than 70 full-time, bilingual members of staff. Intralink has experience in working with intellectual property across a broad range of technologies and sectors from semiconductors and photonics to telecoms and displays. The company works for some of the world’s best-known technology companies in the world and, through its patent licensing activities, has concluded agreements with many of Asia’s leading original equipment manufacturers. The company has also licensed enabling technologies in the electronics, energy, automotive and biotech fields. Intralink has offices in London, Berlin, Boston and Silicon Valley and, through its presence in Asia, has built strong relationships with the IP and licensing departments of Asia’s major patent holders. 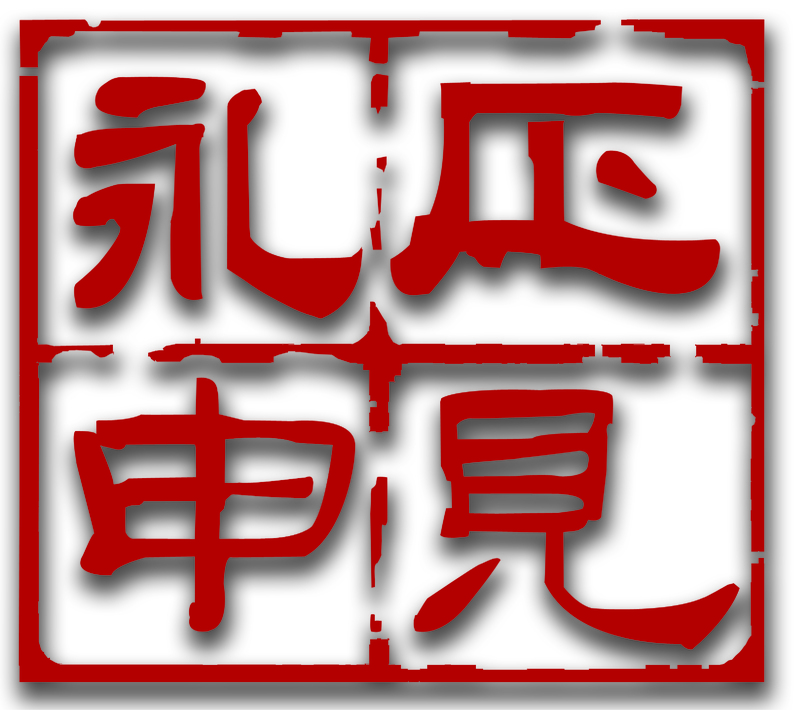 Lee and Li is the largest law firm in Taiwan, providing clients with a full legal service. It has over 20 practice groups covering intellectual property, corporate, investment, banking, capital markets, labour, tax, environment protection and litigation. The firm's 50-plus years' experience in the patent field includes patent harvesting, drafting, global filing, enforcement, transaction, licensing, dispute resolution, prosecution and strategy consultation. It has been representing clients in other jurisdictions for more than 25 years, in part through an exclusive alliance with Lee and Li-Leaven IPR Agency in Beijing and L&L-Leaven, Attorneys-at-Law in Shanghai to jointly serve its clients' legal and IP needs. These platforms have been widely recognised for their efficiency in handling legal and IP matters in the Greater China region. The Greater China patent service platform established by Lee and Li, Lee and Li-Leaven and L&L-Leaven comprises over 100 lawyers and 60 patent attorneys admitted in Taiwan and China, and 200 technology experts together with specialists in other fields. This platform handles patent cases in a wide range of technical fields, such as mechanical engineering, industrial design, automation, electrical engineering, optical science, telecommunications, IT, semiconductor, chemistry, electrochemistry, medical science and biochemical technology. Lee and Li has been consistently selected as the best patent firm by numerous international surveys, such as Chambers Global, Managing Intellectual Property and Asia IP. Our comprehensive and unique collection of IP databases can be analysed, shared and archived. For each stage of innovation, we also offer consulting services, as well as online and on-site training. Established in 1978, Questel is present in more than 30 countries – with offices in Paris, London, Bonn, Washington DC, Sao Paulo, Tokyo and Shanghai. Trusted by more than 3,000 companies worldwide and 100,000 users, our solutions target a large audience across business development, R&D, legal, financial and licensing departments. Rouse is a world-class IP firm primarily focused in the emerging markets of Asia and the Middle East, with a leading niche UK IP practice. It has over 600 staff in 16 offices around the world providing the full range of IP services, from IP litigation and enforcement services, patent and trademark portfolio management to licensing and commercialisation. With over 260 staff members and four offices in Beijing, Shanghai, Guangzhou and Hong Kong, Rouse China is renowned for its innovative services, such as CIELA: China IP Litigation Analysis, a unique litigation analysis tool. Rouse China has been listed as a World Trademark Review 1000 recommended foreign firm from 2014 to 2016 and a highly recommended firm by the IAM Patent 1000 from 2012 to 2016. It has received the China Law and Practice China IP firm of the year award in 2008, 2009, 2010, 2011, 2013, the Managing Intellectual Property foreign firm of the year award in 2009, 2010, 2012 and 2013, the tier 1 for foreign copyright firms in China in 2013, 2014 and 2016 and the tier 1 foreign firm in intellectual property by AP Legal from 2008 to 2015. ZY Partners is a law firm with more than 18 years of expertise, providing the full range of IP legal services to major multinational corporations, growing enterprises, high-tech companies and other innovative clients. The key partners of the firm have excellent credentials and are well recognised for delivering top-quality service to clients. The firm has a team of over 40 experienced lawyers and patent attorneys representing innovation-oriented multinational corporate clients in cross-border transactional, non-contentious and contentious matters. ZY Partners has a prominent IP litigation practice – a result of our lawyers’ remarkable track record over the past decade. We have litigated rigorously to protect our clients’ interests, often in complicated situations. A number of the cases that it has handled have been published as guiding precedents by the Supreme People’s Court and local courts. Its lawyers are licensed to practise in China and have extensive experience in conducting litigations in all jurisdictions and at all levels of the Chinese courts. Most of the lawyers at ZY Partners have graduated from top law schools in China and many of them have degrees in science or engineering, such as computer technology, biotechnology and chemistry. Most are also fluent in English. Anaqua helps corporations and law firms to turn intellectual property into competitive advantage. Our ANAQUA software platform unifies critical tools, best practice workflows, data, documents and services into one efficient, intelligent environment, so that clients can operate more efficiently and make better decisions faster. Nearly 1,000,000 IP professionals in over 150 countries use ANAQUA to manage more than $1 billion in intellectual assets. Many of the best-known brands and most innovative products were conceptualised, evaluated, protected and monetised through the ANAQUA platform. The expertise of our services and client services staff, combined with our tested implementation methodology, delivers successful solutions on time and on budget. Beijing East IP Ltd and Beijing East IP Law Firm is a full-service IP law firm headquartered in Beijing, with satellite offices in Silicon Valley, Tokyo and London. The firm’s practice areas include patents, trademarks, domain names, copyright, trade secrets and IP consultation. It provides services throughout the entire lifecycle of each of these IP rights, including prosecution, re-examination, analysis, enforcement, litigation, portfolio management and strategic advice services. In 2016 Managing Intellectual Property ranked its trademark group as a Tier 2 Prosecution and Contentious Firm.With over a decade of experience in the IP field, the firm’s engineers and scientists know where and when issues arise for corporations and start-ups. Its extensive experience and knowledge of domestic and international judicial systems allow it to provide timely and unmatched services to solve clients’ concerns. We are a world leader in the rapidly changing environment of communications technology – providing equipment, software and services to enable transformation through mobility. Some 40% of global mobile traffic runs through networks that we have supplied. More than 1 billion subscribers around the world rely every day on networks that we manage. With more than 39,000 granted patents, we have one of the industry’s strongest IP rights portfolios. Our leadership in technology and services has been a driving force behind the expansion and improvement of connectivity worldwide. We believe that through mobility, our society can be transformed for the better. New innovations and forms of expression are finding a greater audience, industries and hierarchies are being revolutionised and we are seeing a fundamental change in the way that we communicate, socialise and make decisions together. China Science Patent & Trademark Agents Ltd (CSPTAL), founded in 1984, is one of the leading and largest IP firms in China. During the past 30 years, CSPTAL has grown into a professional team of more than 300 people with multiple global offices in Beijing, Shanghai, Jiangsu (Nantong), Hong Kong, Osaka and Tokyo, Washington DC and Munich. It provides high quality, full-coverage IP services to many international enterprises and clients throughout hundreds of countries and regions, for maximising the value of their IP assets globally. Some 40% of global mobile traffic runs through networks that we have supplied. More than 1 billion subscribers around the world rely every day on networks that we manage. With more than 42,000 granted patents, we have one of the industry’s strongest IP rights portfolios. These exciting changes represent the realisation of our vision: a networked society, where every person and every industry is empowered to reach their full potential. NLO protects and reinforces clients’ ideas, innovations and trademarks to perfection, bearing in mind the markets in which they are actively involved. How we proceed and work together with clients is guided by the key values that our organisation is based on: expertise, passion, teamwork, creativity and experience. These have been the key ingredients of our services for over 125 years and will continue to be pivotal in the future. 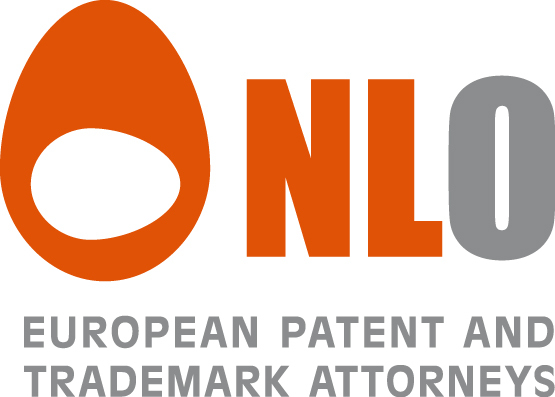 NLO is the largest full-service IP consultancy in the Netherlands and Belgium. For strategic choices involving IP portfolios, clients prefer advice from different perspectives. We offer the unique combination of technical and legal expertise and insight into the business environment. Our teams – comprising trademark and patent attorneys – combine complementary knowledge and expertise so that every type of issue can be addressed at every possible level. Founded in 1998, Shobayashi International Patent & Trademark Office is one of the fastest-growing IP law firms in Japan. With 170-plus professional staff members, Shobayashi has 11 specialised departments providing tailored IP services in a range of technical fields – including chemical, biotechnology, pharmaceutical, mechanical, optical, electrical, information technology, trademarks and designs and litigation – and advising on international IP protection. Shobayashi established a specialised research department in 2011 to provide IP analysis services for operating companies and financial institutions. With more than 10 former senior examiners from the Japan Patent Office, including a deputy commissioner and the chiefs of the patent and design examination departments, Shobayashi offers the full breadth of expertise for validating intellectual property and determining infringement. Having established a research team in 2012 for licensing, valuation and IP-driven investments, Shobayashi provides IP due diligence services in IP licensing and M&A transactions, and IP advisory services in open innovation. Sunyu is one of the leading IP globalisation service providers worldwide. Founded in 1996, Sunyu has established itself as a company that prides itself on providing trustworthy IP solutions to its clients. Sunyu has become a family of companies that operate in China, Japan and the United States. It initially specialised in patent translations, but has gradually transformed and reinvented itself by deploying new market strategies geared at offering a wide range of services to help clients achieve their IP globalisation goals and business needs. Sunyu is a trusted industry name in providing IP solutions throughout the world. With the help of its dedicated team it has further established its reputation and brand presence by incorporating advanced quality management techniques, following strict observance of patent laws and information security and using cutting-edge technologies. TechPats is one of the most experienced and established IP consulting firms in the industry. TechPats forms strategic partnerships with its clients, empowering them to grow their businesses, protect their IP assets and strategically position themselves for the future. TechPats’ IP consulting focuses on portfolio development and management, patent monetisation and IP litigation support. Across these main disciplines, TechPats’ team of experienced engineers, patent agents and attorneys offer comprehensive IP services that help companies to realise, monetise and protect their patents. With more than 16 years in the patent industry and worldwide offices in Philadelphia, San Francisco, Ottawa, Tokyo and Taipei, TechPats is well positioned to assist and advise you on your patent strategy. IIPCC is a non-profit, non-partisan organisation that provides a platform for the business and innovator communities to increase their understanding of intellectual property and seek resources to unleash the value and commercialisation potential of their creative and innovative intellectual property into products, services or processes. IIPCC embraces commercialisation of intellectual property that promotes sustainable economic growth, protects the environment, creates jobs for all social strata and improves quality of life. IIPCC’s mission is to promote IP education for business, entrepreneurs, investors, innovators, policymakers and professionals; promote good IP practices and standards towards certification for effective commercialisation in the regional and global markets; and provide social and business networks for IP commercialisation opportunities. IIPCC comprises a highly structured networking system that enables interaction and encourages innovation and commercialisation at all levels, thus providing a platform for the circulation of innovations and facilitating an entrepreneurial ecosystem for IP commercialisation to benefit regional and global communities. The Telecommunication Development Industry Alliance (TDIA) was founded in 2002. It is a voluntary organisation formed by enterprises that are actively committed to the development of mobile communication technology, especially time division duplex (TDD) technology, and engage in the research and development, production and service of TDD standards and products. The TDIA has 106 member enterprises, including operation, network, chipset, user equipment, testing and antenna vendors. The TDIA is dedicated to the development and promotion of telecommunications technology. 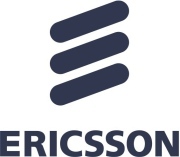 By integrating and coordinating industry resources, it aims to stimulate the global development of time division synchronous code division multiple access, long-term evolution and 5G technology, and promote the licensing of standard-essential patents in the mobile communication industry by strengthening cooperation among its members and partners. AutoHarvest Foundation, a non-profit organisation, operates a unique innovation ecosystem led by some of the most highly respected figures in the automotive and manufacturing industries. In 2012 AutoHarvest.org was launched as the world’s only truly neutral and global online meeting place for all types of innovator with an interest in advanced manufacturing. It allows users to showcase their capabilities, technologies and needs system wide and privately connect with fellow inventors and business developers to explore technology and commercial opportunities of mutual interest. The AutoHarvest interest group consists of over 300 prominent R&D and manufacturing organisations from industry, government and academic organisations. AutoHarvest is part of the Detroit Regional Innovation Network and was recently awarded a multi-year grant by the New Economy Initiative Foundation of Southeast Michigan. 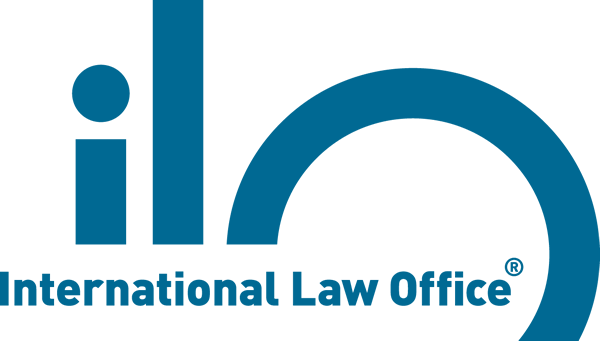 Launched in 1998, the International Law Office (ILO) is the nexus where global corporate counsel engage with the world’s preeminent law firms, and with each other. The ILO brand encompasses a multifaceted online resource for senior international corporate counsel, which provides tailored, qualityassured updates on global legal developments, a database of the world’s major deals and the legal advisers involved, and a comprehensive directory of firms and partners. Recognising its unique relationship with global corporate counsel, ILO is an Online Media Partner to the Association of Corporate Counsel, the International Bar Association, the American Bar Association Section of International Law, the Inter-Pacific Bar Association and the European Company Lawyers Association.